Listed marcomms firms Porta and SEC have entered discussions about a potential merger, which would create a business with global fee income of around €80m and a host of PR agencies, including Newgate, Publicasity and Newington. 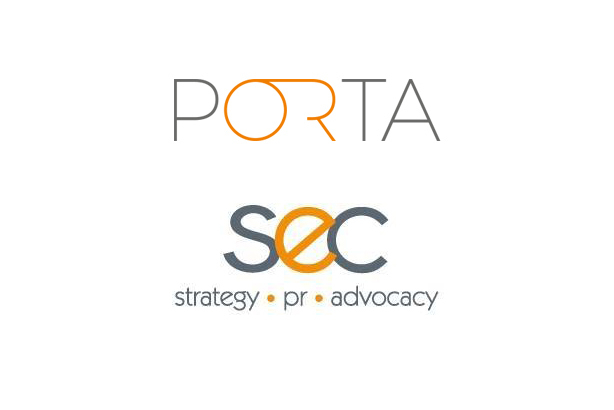 SEC acquired a 19.3 per cent stake in Porta for £3m in 2017, in a move that saw the creation of a central marketing and new business function to focus on joint business opportunities. The boards of both firms have now entered into discussions concerning a potential all-share merger, according to a statement issued to the stock market. The combined entity would have offices across the UK, Europe, Middle East, APAC and South America. Porta agencies include London-headquartered Newgate, which last year merged with sister agency Redleaf; Publicasity, another London shop; Engage Comms of Australia; and advertising and marketing agency 2112. SEC – which listed on the UK’s AIM stock market in 2016 – includes London public affairs specialist Newington, plus agencies in Italy, Spain, Belgium and Germany. Fiorenzo Tagliabue, CEO of SEC and also deputy chairman of Porta, said: "The merger of Porta and SEC would allow both entities to compete for business in international markets supported by a joint focus on the roll-out of proprietary new market research and communication products." Under stock market rules, SEC has until 5pm (UK time) on 7 May to either announce a firm intention to make an offer to merge, or announce that it does not intend to do so. The potential merger would be classed as a reverse takeover for SEC under AIM rules and be subject to the approval by Porta and SEC’s shareholders. Porta shareholders are set to vote on certain aspects of the process at a general on 26 April.